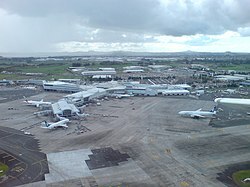 The airport is the fourth busiest in Australasia after Sydney, Melbourne and Brisbane airports. Around 2008, the airport was rated in the top 3 worldwide for airports handling 5–15 million passengers annually. It was also voted the 12th best airport in the world in 2013 at the Skytrax World Airport Awards, as well as being the best airport in the Australia/Pacific region. 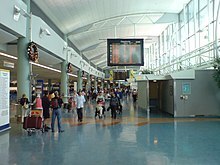 In 2009, an extension to the international terminal was constructed, creating Pier B. Pier B covers 5,500 square metres (59,000 sq ft) and has been designed to allow for the addition of new gates when required. It currently has 2 gates, both capable of handling Airbus A380 aircraft. In May 2009, Emirates became the first airline to fly the A380 to Auckland, using the aircraft on its daily Dubai–Sydney–Auckland route. On 2 October 2012 Emirates began operating the Dubai–Melbourne–Auckland with an A380, having previously operated the route with a B777-300ER. From 2 October 2013, the A380 took over from a B777-300ER on the Dubai–Brisbane–Auckland route This will mean that Emirates now serves Auckland solely with A380s, and Auckland Airport becomes the only airport in the world, other than Dubai, to have three scheduled Emirates A380s on the ground at the same time. In 2014, Singapore Airlines was the second airline to operate A380s at the airport. Gates 1–10 are located in Pier A; Gates 1–9 are single-airbridge gates and Gate 10 is a twin-airbridge gate suitable for an A380 aircraft, but not two narrow body aircraft. Stands 19–20 are remote stands located west of Pier B. In December 2015, the airport opened a new bus lounge in Pier B (gates 16A and 16B) for bussing to stands on the western apron, particularly stands 17, 18 and 19. Stands 70–73 and 82–84 are remote stands located to the east of Pier A. If boarding of aircraft is necessary at these stands, passengers are bussed from gate 4A or 4B. Stands 70–73 are also used by Jetstar regional flights and passengers are bussed from the Jetstar regional lounge (gate 62 and 63). Stands 74 and 76–81 are remote stands located to the west of Pier A. If boarding of aircraft is necessary at these stands, passengers are bussed from gate 4C or 4D. Six Air New Zealand A320s at the Auckland domestic terminal in 2014. Jetstar domestic A320 services operate from gates 20–23 (jetbridge gates). Gate 24 (tarmac gate) is used by both Jetstar and Air New Zealand's A320 aircraft. Gates 60–63 are used for Jetstar regional flights, with 62 and 63 being bus gates in a separate building at the Jetstar end of the terminal. Gates 20 and 21 are turned into 60 and 61 during peak regional times. Air New Zealand mainline services operate from gates 24–33. Gates 28 through to 33 all have jetbridges, while gates 25, 26 and 27 don't exist. Air New Zealand Link services operate from the regional section of the domestic terminal. This is located at the eastern end of the terminal and consists of gates 34–50 (excluding gate numbers 37, 38 and 44, which do not exist). These gates are linked to the terminal by covered walkways, and passengers walk across the apron to the aircraft. Gates 51–59 are used by 3rd level operators Air Chathams, Alliance Airlines, Barrier Air and Fly My Sky. Further to the east, gates 101–106 are used for Business Jet and long term parking. On 8 July 2010, AIAL announced it had entered into an agreement to take a 24.99 per cent shareholding in Queenstown Airport Corporation Limited, the operator of Queenstown Airport, and form a strategic alliance between the two airports. The shareholding will cost NZ$27.7 million, through the issue of new shares. The alliance is expected to generate an extra 176,000 passengers through Queenstown Airport. AIAL has an option to increase its shareholding in Queenstown Airport to 30–35 per cent at any time up to 30 June 2011, subject to the approval of the Queenstown Lakes District Council. The new share capital from would allow Queenstown Airport to fund growth of the airport's operating capacity and to pay regular dividends back to the community via the Queenstown Lakes District Council shareholding. 4 July 1966 – an Air New Zealand Douglas DC-8 on a training flight crashed on the runway shortly after taking off, killing 2 of the 5 crew (no passengers were on board). 17 February 1979 – Air New Zealand Flight 4374 crashed into Manukau Harbour while on final approach. 1 crew and 1 company staff member were killed. 31 July 1989 – a Mainfreight Convair 340/580 crashed shortly after taking off at night. All 3 crew members were killed. 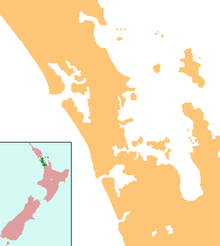 ^ a b "Auckland airport – Economic and social impacts". Ecquants. Archived from the original on 12 May 2014. Retrieved 7 September 2013. ^ "Monthly Traffic update – October 2017". Auckland Airport. Archived from the original on 1 December 2017. Retrieved 25 November 2017. ^ a b Overhaul for domestic terminal – Business – NZ Herald News. The New Zealand Herald. (6 February 2013). Retrieved 16 July 2013. ^ Auckland Airport – Pier B » Hawkins Archived 4 May 2013 at the Wayback Machine. Hawkinsconstruction.co.nz. Retrieved 16 July 2013. ^ Clark, Helen. "Auckland International Airport – opening of new facilities". Retrieved 11 June 2015. ^ "Tickets on sale for direct Invercargill-Auckland flight". Scoop. Retrieved 25 January 2019. ^ "Tianjin Airlines extends Xi'An – Auckland suspension to Oct 2018". routesonline. Retrieved 23 May 2018. ^ "Infoshare – International Travel and Migration – ITM – Total passenger movements by closest overseas port and selected NZ ports (Annual-Dec)". Statistics New Zealand. Retrieved 15 February 2019. 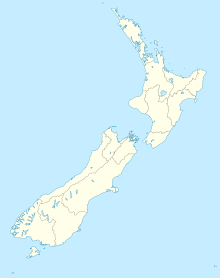 ^ "Auckland Airport and Queenstown Airport strategic alliance – Auckland Airport". Aucklandairport.co.nz. 8 July 2010. Archived from the original on 23 December 2010. Retrieved 8 July 2010.